As the first week of polling comes to a dramatic close in Edinburgh’s historic Brontë referendum – to decide which Brontë sister visitors to the festival most resemble – touring entertainers Scary Little Girls announce the race is wide open. “It’s very, very close. Against everyone’s expectations, Charlotte and Emily are neck and neck on 37%, with Anne behind by a long nose on 15%. I’ve been biting my nails I’m telling you. It’s literally a nail-biter.” said Scary Little Girls co-founder Rebecca Mordan, herself an Emily, so she’s probably a bit crazy. Edinburgh citizens must answer a series of questions before the city finds out whether it’s full of strong, domineering Charlottes, mysterious and wild Emilys, or radical and anti-social Annes. A simple question remains: which Brontë are you? The street survey is being conducted by Scary Little Girls who are performing their daft and hilarious literary cabaret show The Full Brontë about the lives and times of the famous Brontë sisters. The show is part of Edinburgh Festival’s Free Fringe and plays until 24th August. To take part and discover your true Brontë background, you can pay a visit to a performance of The Full Brontë between 3rd and 24th August (exc. Mondays) at the Fingers Piano Bar in Frederick Street. Tickets are free for all. More results are expected to come in as polling continues next week, so watch this space. Or The Full Brontë. 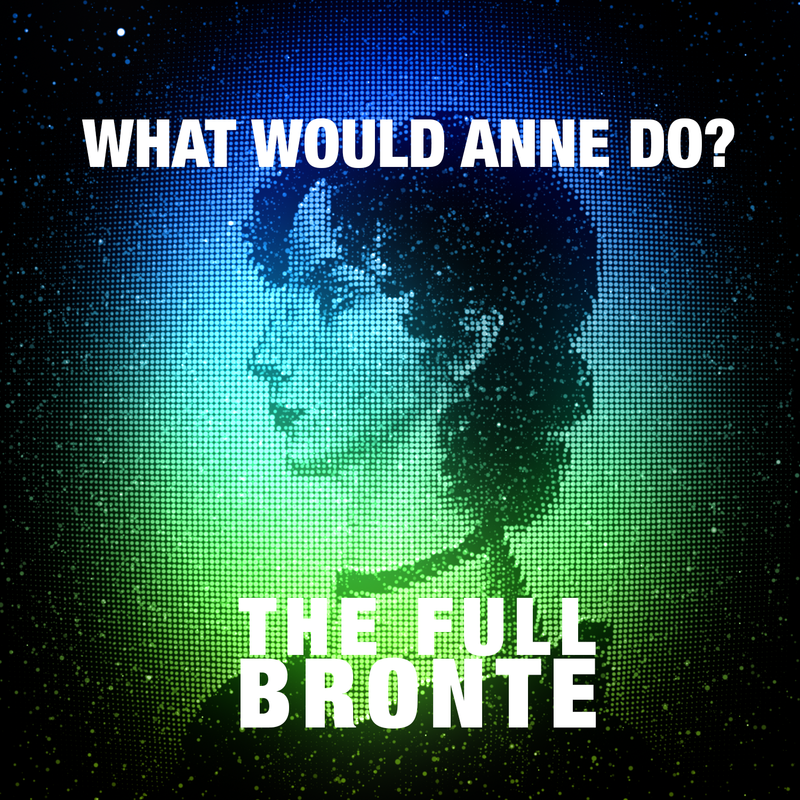 Yes, watch The Full Brontë. 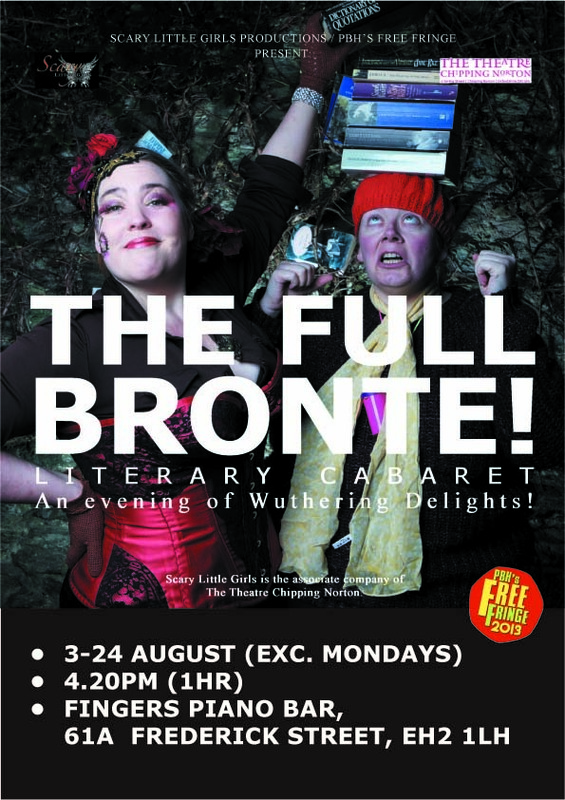 The Full Brontë performances are part of the Free Fringe. Performances are at Fingers Piano Bar, 61a Frederick Street, Edinburgh, EH2 1LH from 4.20pm – 5.20pm on 3rd – 24th August (excluding Mondays). Tickets are free for all, so please feel free to come along to any performance. Scary Little Girls Productions is an innovative young production company based in London and Cornwall but tour nationwide. Its first show was produced in collaboration with the Bristol Old Vic and recent partnerships include art, drama and film projects with the South London Gallery, Glastonbury Festival and the Curzon Cinema Group. Their current UK tour has included London, Yorkshire, Shropshire, Herefordshire, West Midlands, Oxfordshire and Cornwall. SLGP has attracted national attention for its sell-out shows, which include The Kisses, Maria Stuart and, more recently, Ladies Cage. By popular demand, they recently performed at the Brighton Fringe Festival for a second year.